awesome Susie - I love the pillows!!! 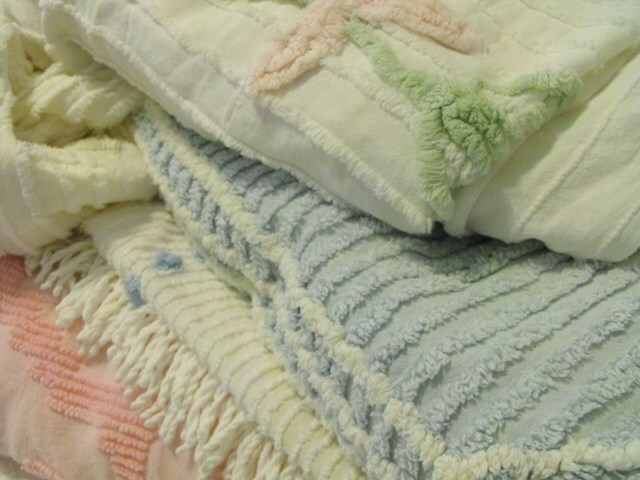 and I thought I was the only one who used oxy - i always soak any old quilts I get in it and it works awesome. Oh how I love those pillows. Perfect. What a find you made. Susie...I am in love!! These are beautiful! I agree...the pink flower is my favorite and looks so good on your bed. 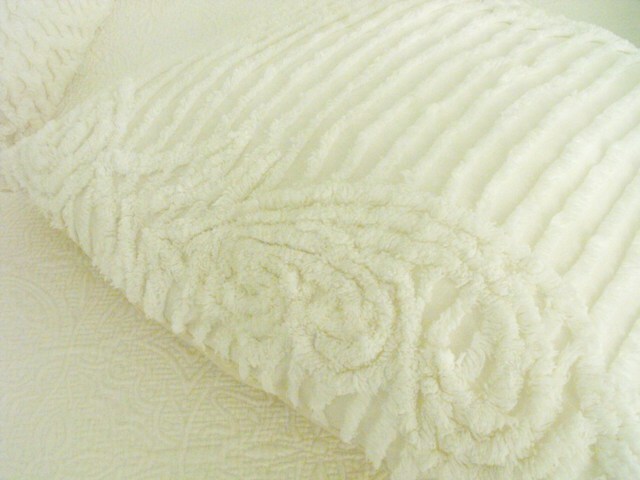 Love those white chenille pillows....dreamy! 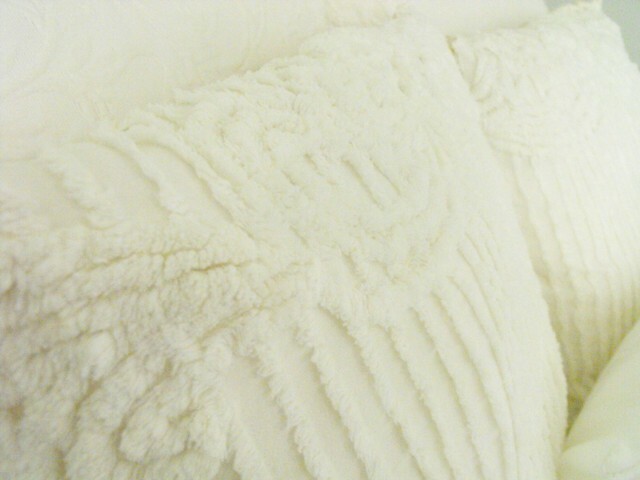 WOW Susie I LOVE your chenille pillows. Just GORGEOUS!!! Ooo oooo oooooo I love those pillows!!! 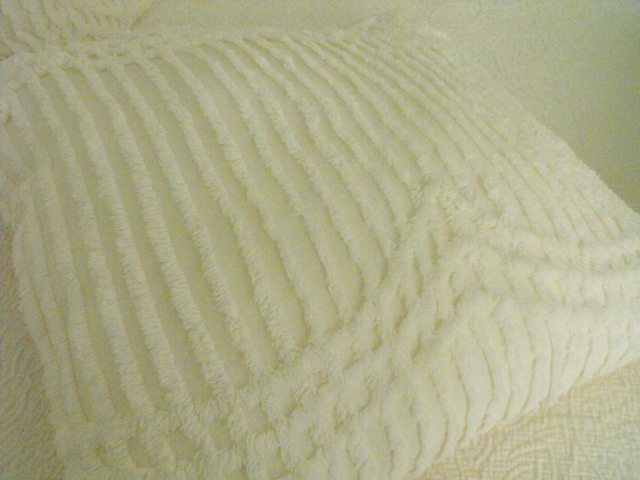 I collect chenille bedding and got lucky to find two matching twin ones. I made them into curtains for my bedroom. I LOVE them. Lucky you on your find. Thanx for sharing. Wow, Susie! Soooo pretty! My son has a chenile blanket (Blankey). He loves her (yes, she's a girl) so much that she is no longer soft. I think he hugged all the softness away! Susie these are so awesome! 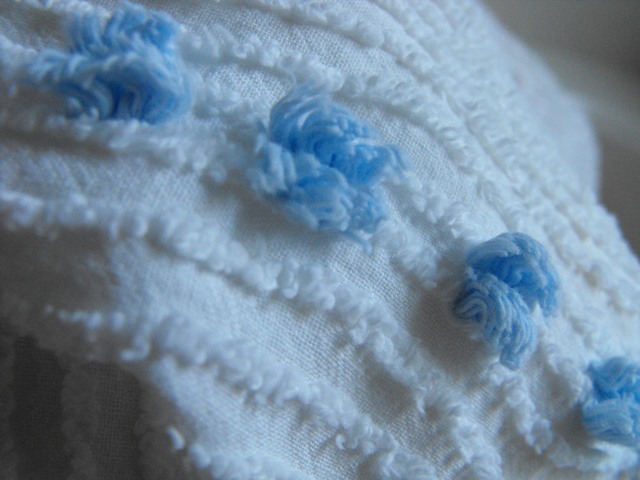 I love chenille spreads and pick them up whenever I see them. I LOVE your pillows!!! Hi Susie! Oh, how wonderful! I love chenille too! 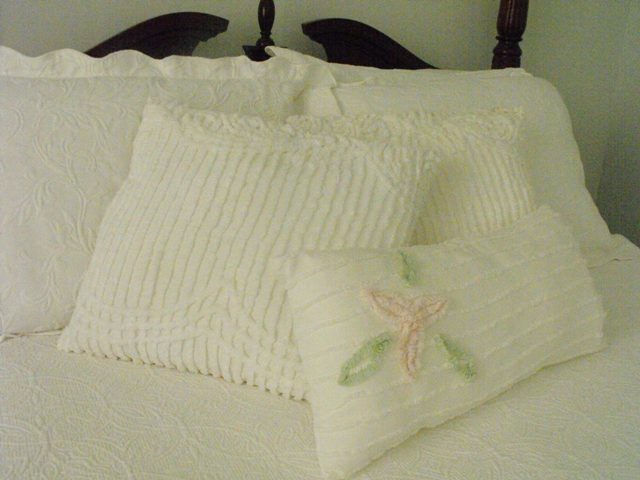 My mother used to have chenille bedspreads on our beds when I was a little girl. Now I wonder what happened to them? Mother's had a huge colorful peacock on it. Mine was all pink and girly. They are so sweet and delicate looking. Good job! They are dripping with sweetness! 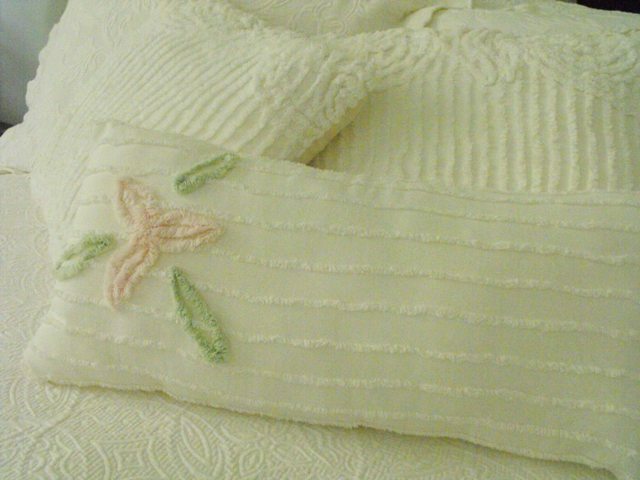 :) I love the little pink flower pillow. So cute! I love what you did! You are so clever. I've been wanting to take some of my old clothes in my closet that I don't wear anymore and make some pillows or something. Thanks for this cool post! 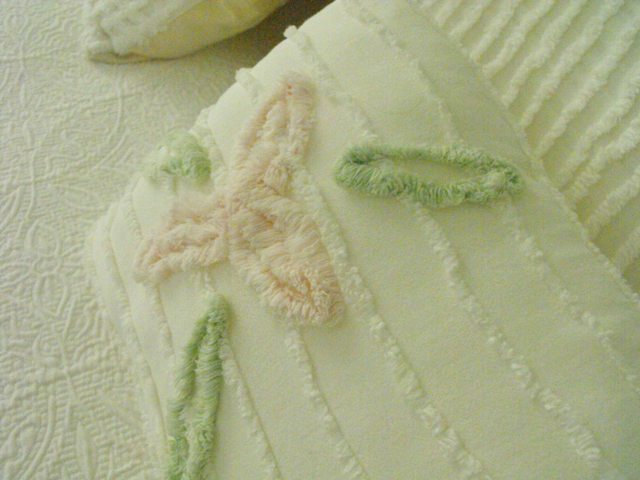 My daughter's bedding was all pastel chenille with a soft chair and accessories...I love it so much I saved it all. Thanks to you maybe I'll transform it into pillows that she can use on her big girl bed! Your chenille finds are beautiful. 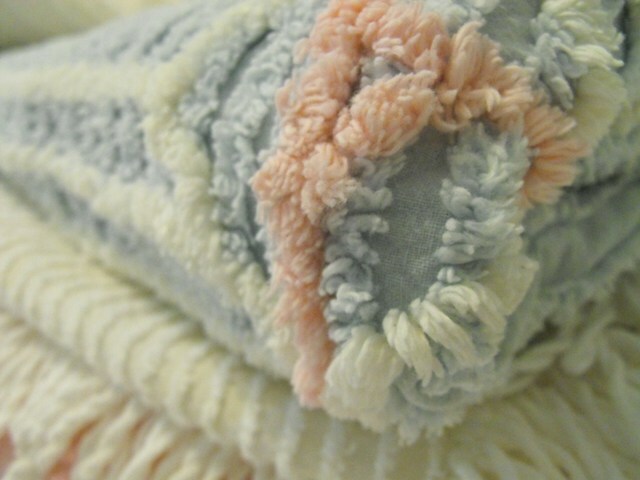 You just have to love chenille - its dreamy! The pillow you made are gorgous! oh how I love chenille! 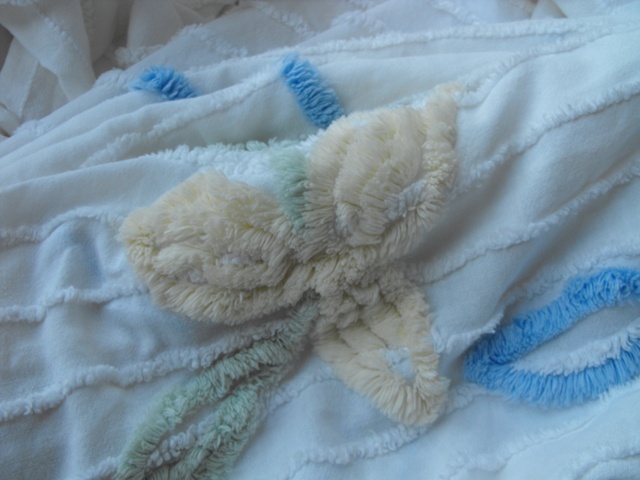 I had the most beautiful chenille princess bedspread when I was a child! Great job on the pillows! They're beautiful. I love chenille! Those pillows are gorgeous! 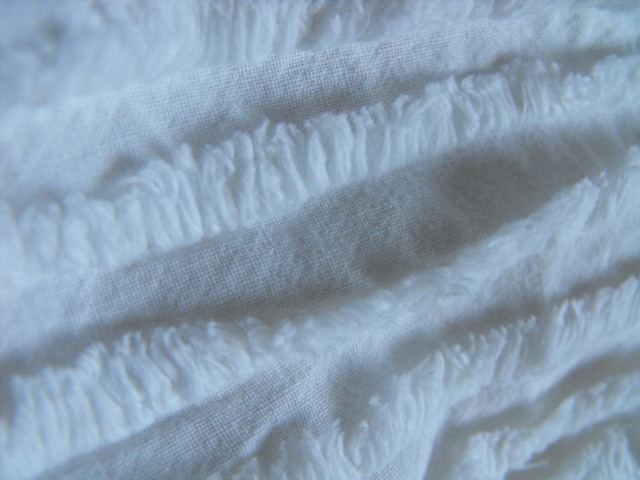 I love chenille and had a slipcover made out of some for a chaise in my sunroom. You did a great job. I love chenille! Oh Susie! Simply amazing. Reminds me of my Grandma's house. I'm in love!! !